Most people when they are looking for a trail camera only want a nice midrange model. That’s because they seem to have a nice blend of quality and affordable pricing. 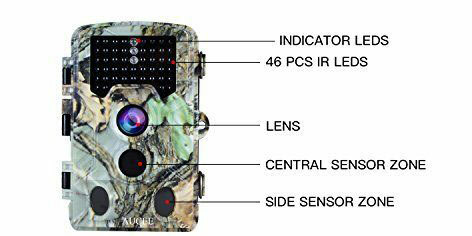 One trail cam that has come to our attention that fits this description exactly is the Crenova Game & Trail Hunting Camera. After researching it we found there was much to like about it. 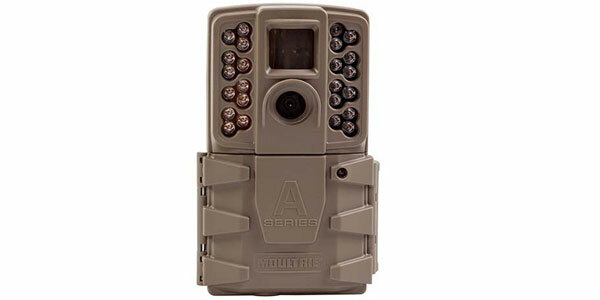 Here is a more in-depth look at this popular one from our top game cameras list. 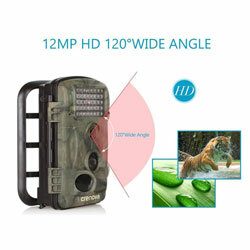 Clear photo and video quality is the name of the game with this game camera. 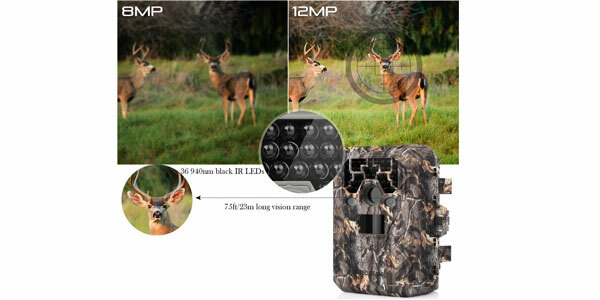 The Crenova Game & Trail Hunting Camera offers very good resolution when taking both photos and video with it. The photo quality is up to 12 megapixels of resolution and the video quality is 1080P. 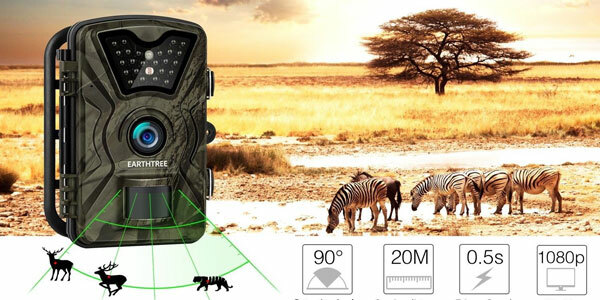 This trail camera also has a long range and wide angle of view which is very important for better trail cam shots. It can detect moving objects as far as 65’ away from it and will shoot photos of the moving objects in a 120° wide arc. 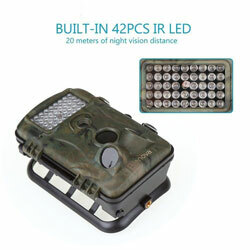 For nighttime photo taking it has 42 low glow infrared LED’s to provide lighting. The light is barely visible so it will not spook the game that’s near the trail camera. 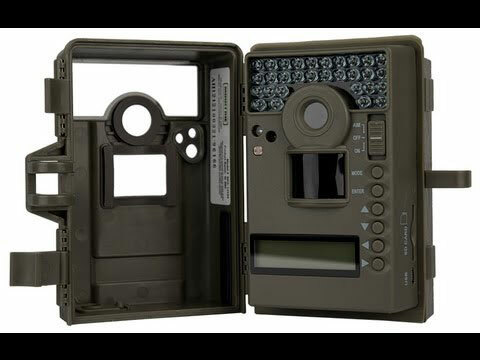 This trail camera has a very nice built-in LCD display. It is used to both program this trail cams settings and for previewing photos and videos. It makes this trail cam very simple to operate and use. Battery life with this model is about average. It can go as long as 6 months without the batteries needing to be replaced in photo only mode. It uses 8 AA batteries to power it. The casing is made out of tough plastic that is dent and crack resistant. It’s also made to IP54 waterproofing standards. It can handle just about any environment you choose to use it in. There are two things that stand out to us on this trail camera. One is that it offers those that use it a wide photo-taking range. If you position it correctly it will take photos in a 120° arc in front of the camera. The other feature we like on it is its very good 0.6 second trigger response time. That means you will rarely miss a shot once an animal triggers its motion sensor. 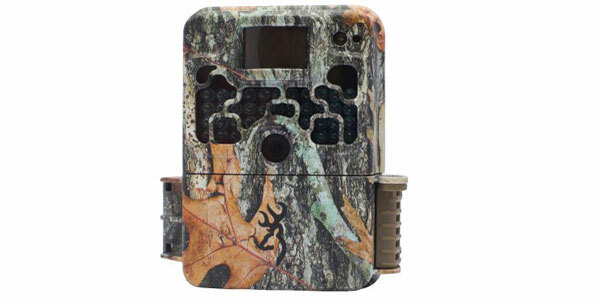 The Crenova Game & Trail Hunting Camera comes with the industry standard warranty for trail cameras. It’s backed up by a 1-year warranty from the date of purchase. Among the drawbacks we have found with this trail cam is users have told us it has a very easy to activate motion sensor. That means they get a lot of photos with no animals in them. We actually feel it’s better for a trail camera to be oversensitive than not sensitive enough so this is not a deal breaker for us. On a more annoying level than anything else, we also found out that you cannot use rechargeable batteries to power this device. When users said this is a midrange trail camera that offers you quality and value they were absolutely right. This camera has a very good photo and video resolution. It also has an excellent motion sensor trigger response time and a wide angle viewing range. You can even review your photos and videos on its included display screen. 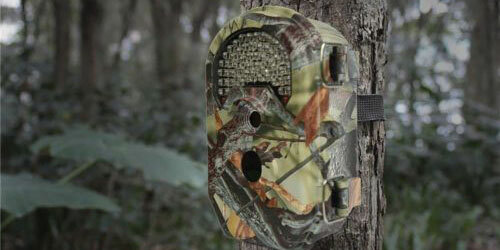 If you are shopping for a new trail cam this is one you really want to strongly consider purchasing.